This time of year is when I crave stews and soups for lunch and dinner to fill me up and keep me warm. I have loved potato soup since I was a kid and I’d get my fix at Bennigan’s in my hometown! My mom and I both loved it. 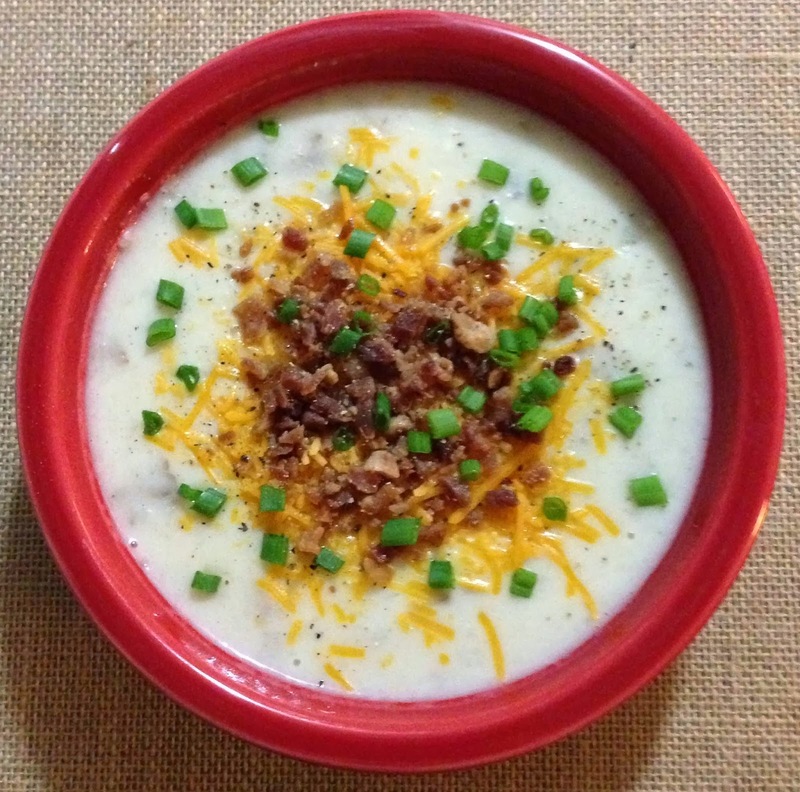 I had never attempted to make potato soup from scratch before and it turned out so hearty and delicious that I wanted to share the recipe as it was super easy as well! I hope you enjoy! 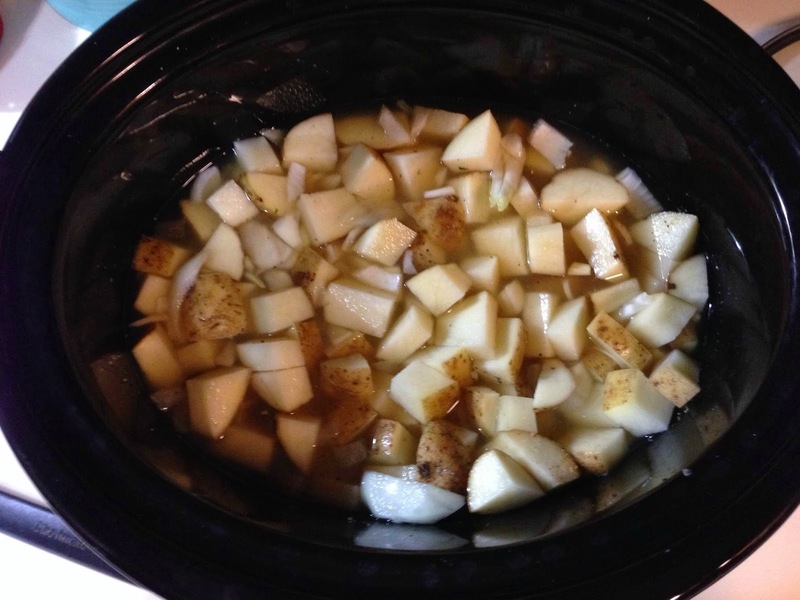 Combine: potatoes, onion, chicken broth, pepper and garlic in crock pot with lid on. Cook on low 7 hours or high 4 hours. Open crock pot carefully as it will be hot and using potato masher or immersion blender mash some of the potatoes until the liquid becomes white in color. 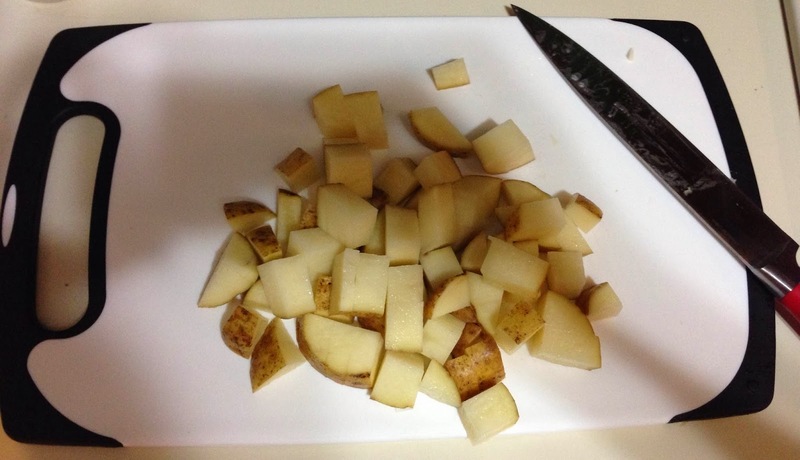 Make sure to leave some chunks of potatoes as you want your soup to be hearty. Add half & half and sour cream while stirring. Cook on low 1 hour. Ladle soup in bowls and add shredded cheddar to the top with crumbled bacon. Using kitchen shears cut chives to add to the top.